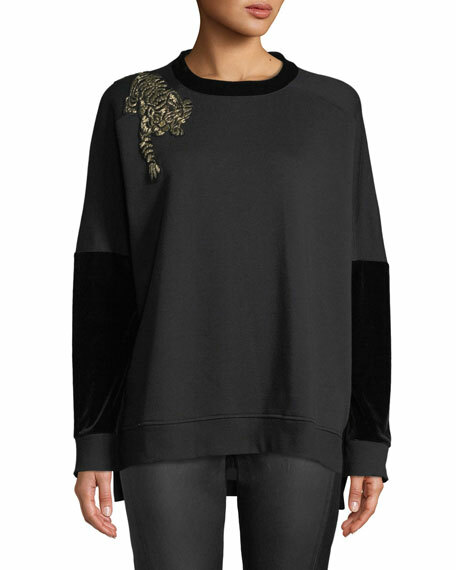 Elie Tahari "Chantae" knit sweater with tiger detail at shoulder. 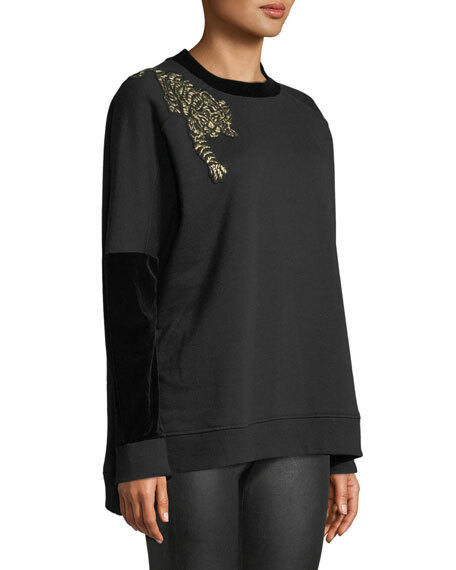 Crew neckline; velvet trim and sleeves. 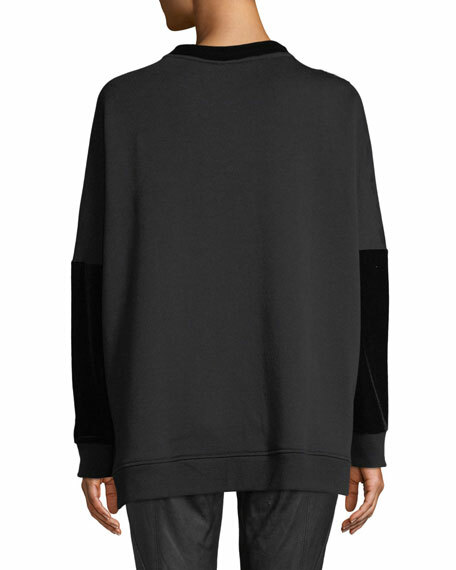 Long sleeves; banded cuffs and hem. 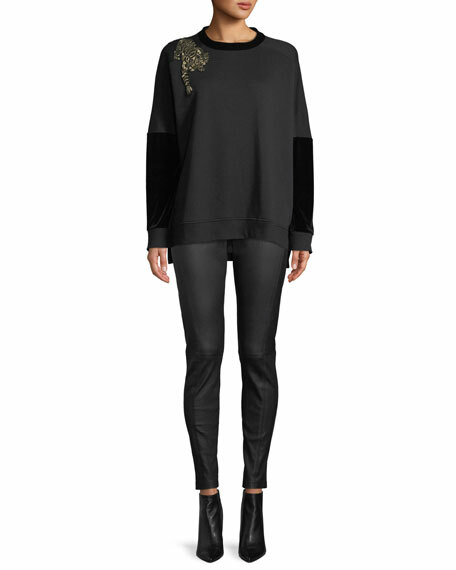 For in-store inquiries, use sku #2616014.